It is the first PGA Tour event of 2018, where a limited field of 34 golfers will tee it up in Maui, Hawaii and compete for the Sentry Tournament of Champions. The field is made up of those who won a PGA Tour event in 2017 and presents each golfer with a chance to ease themselves into the season, on a course that often yields low scores and is set in a stunning part of the world. For many, it may be a New Year holiday, for most though it is one more chance for silverware. Before the start of the week, three European players (Henrik Stenson, Justin Rose and Sergio Garcia) all withdrew from the event. One thing that jumps out at you when looking at this course is the fact it is a Par 73, the only one in circulation on the PGA Tour. This leads to some extraordinary winning totals, and when Spieth won here with a -30 winning total in 2016, you would think that was the course record but that honour still belongs to Ernie Els who shot -31 in 2003! At 7,452 yards it is a long course on paper, however neither distance nor accuracy off the tee is a huge factor here. Since 2008, it has been a real mix of long and short hitters who have lifted this trophy, with Thomas (2017), Patrick Reed (2014), Dustin Johnson (2013) and Daniel Chopra (2008) all ranking inside the top-6 for Driving Distance whilst the remaining six winners have ranked 15th or lower in that statistic. In addition to that, of the last ten winners only two (Zach Johnson 3rd in 2014 and Geoff Ogilvy 8th in 2010) have ranked inside the top-10 Driving Accuracy, with the same number (Dustin Johnson 2013 and Daniel Chopra 2008) ranking dead last in that category. A good week on and around the greens will be required in order to go low enough to win here, and whilst these are easy greens to hit, converting putts with regularity is essential. All of the last ten winners have finished inside the top-4 for Putts per Round at this event, with Spieth (2016), Stricker (2012) and Ogilvy (2010) all ranking 1st for the week. Should you miss the greens here, you best have your Scrambling boots on in order to setup good looks at the hole. Thomas finished 12th here last year in that stat, but prior to his win in 2017, only Dustin Johnson (18th in 2013) has won here in the last 10 years, without finishing inside the top-9 for Scrambling. Five of the winners in that span have also ranked inside the top-3. Form at the Sony Open is also worth a look, especially if a player is lacking starts at this event. Whilst it isn’t too similar course wise, the event is affected by similar winds, and knowing how to cope with them is advantageous. 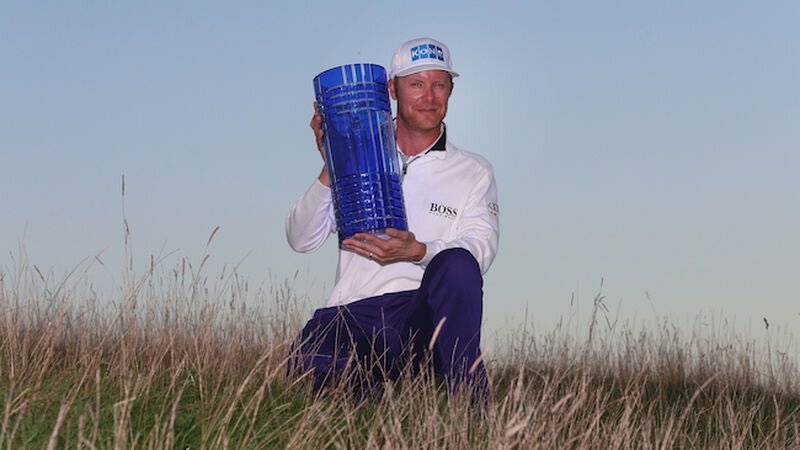 Thomas joined Ernie Els, Jim Furyk, Zach Johnson and Vijay Singh as those to have won both events in recent years, so it is clear there is a noteworthy link. Justin Thomas had a memorable 2016/17 season, winning his first event of the season at the CIMB Classic last October, but it was here in Maui where he kicked off the most successful calendar-year of his career. Following his win here at the Plantation Course in 2017, Thomas then went on to win the Sony Open the following week, becoming the first to do the now-dubbed “Hawaii Double“ in the same year. A further three wins, including his first major at the PGA Championship. Thomas held off a strong challenge from Hideki Matsuyama who himself won three times last season and will be looking for further success in 2018. Jordan Spieth, Pat Perez and Ryan Moore rounded off the top-5, all finishing in a tie for third on -16, six shots behind Thomas and three behind Matsuyama. There are no real surprises at the head of the market this week, with Jordan Spieth just edging favouritism ahead of good friend and 2017 champion, Justin Thomas. On three visits here, Spieth has finished 2nd, 1st and 3rd so there is no reason to question his obvious chances. Dustin Johnson is also a previous winner here, whilst Rickie Fowler and Hideki Matsuyama have best finishes for 5th and 2nd here respectively. Jon Rahm is making his first start here, but given his debut performances on other courses last season, this shouldn’t phase him too much. Pat Perez has played this event on two occasions, finishing 10th on debut in 2010 and following that up with a 3rd place finish last season. After spending the majority of the 2015/16 season out with a shoulder injury, Perez came back in strong fashion, winning the 2016 Mayakoba Classic and following that up with another win at the 2017 CIMB Classic. Perez seems to have improved as a player not only since his injury but since he’s gotten older and at 41 he still has around 10 years of PGA Tour golf ahead of him, should he stay injury-free and in decent form. Thanks largely to his Mayakoba win, the runner-up finish at the Wells Fargo and a 3rd at this event last season, Perez finished 15th in the FedEx Cup standings which is by far and away his best performance since its inauguration in 2007. Perez always had a reputation for being hot-headed on the course and maybe as he’s getting older and maturing he is getting this under control, which in turn is helping his results. Whatever the reasoning for it, Perez seems to have a new-found belief in recent years and a win here amongst the game’s elite would be the perfect way to start what he hopes to be another successful campaign. A win at the CIMB and a 5th at the CJ Cup in his last two starts suggests Perez is ready for another strong season and after four events currently sits in 2nd place in the FedEx Cup standings. Given his obvious liking for this course, his most recent performances and what appears to be a new winning swagger, Perez looks a decent price at 33/1 and worth a bet this week.